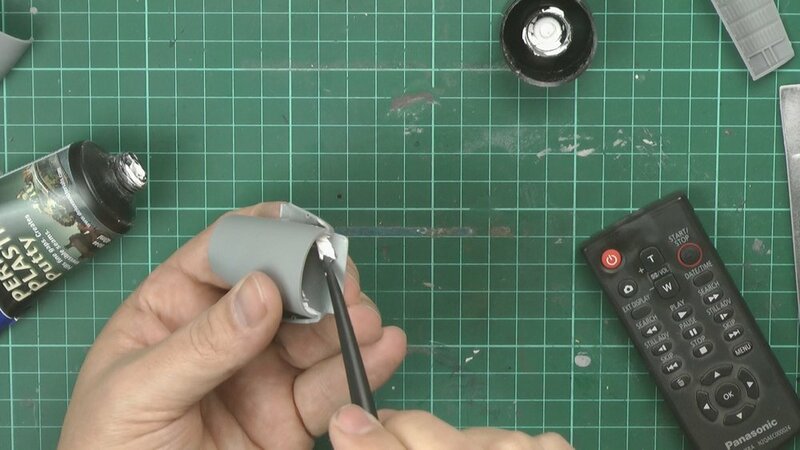 In part one and two we work on the engines and add more detail with styrene strips and lead wire. 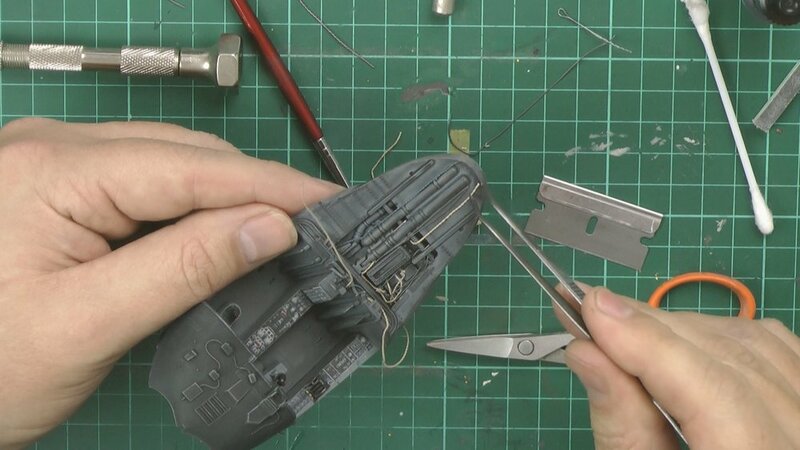 In parts Three and Four we work on the cockpit and bring it to life with weathering with washes and livening up with some simple wiring. In Part 5 and 6 we finish off the cockpit and then work on the electronics bay. 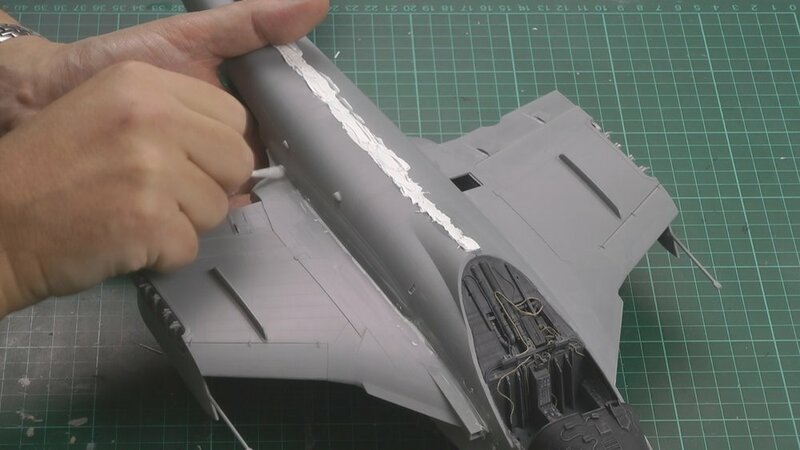 In Part Eight we start to bring it all together and install the wings with a bit of playing (my own fault) we get a good join on the wings and the fill all the gaps with filler. In Part Nine we finish of sanding and then priming the seams to give a smooth floorless finish. We then move on with builds the landing gear. 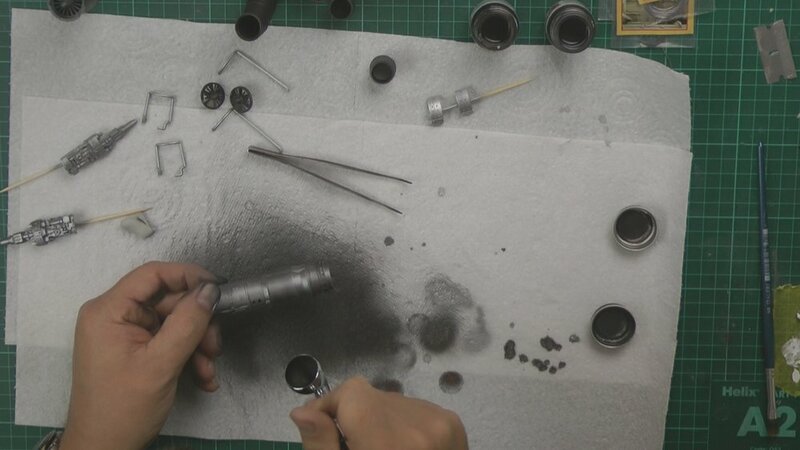 In part 10 we work on the gear with painting and weathering and then detail by adding brake lines. we then show how to weather the rubber tires to give a natural look. In part 12 we move over to the spray bay and start work on the pre-shading and the work through the white underside. 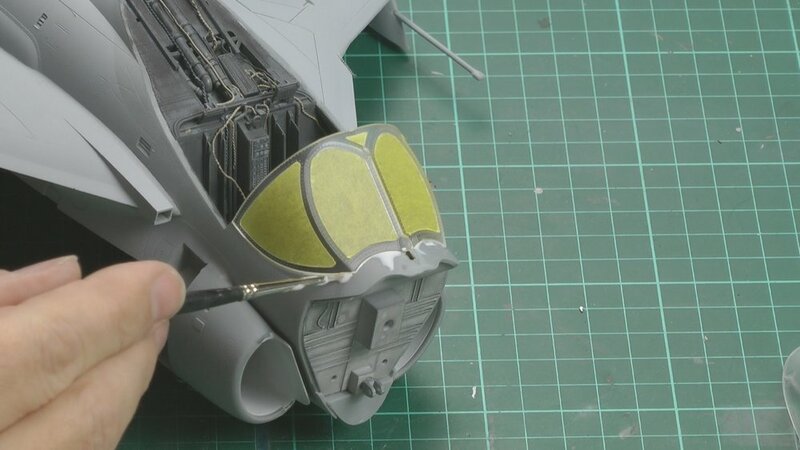 In Part 13 we Carry on with the Airbrushing of the Intruder and then weather it all in with post shading for the corrosion control paint effect. In part 14 we carry on with the weather with post shading. 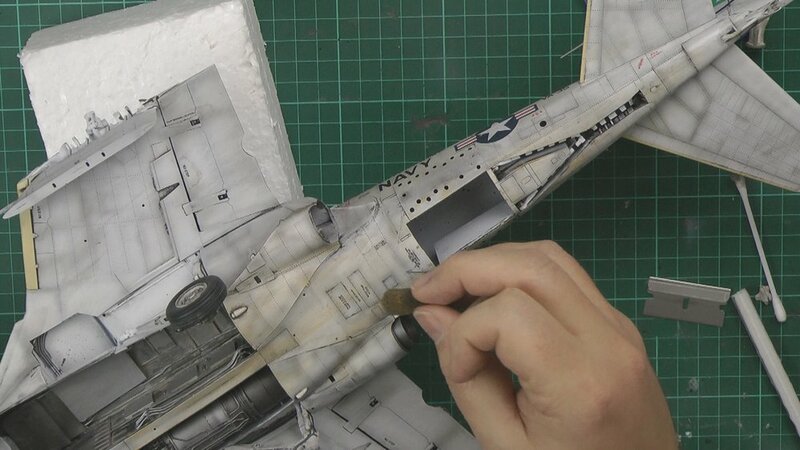 In Part 15 we finish off the last of the post shading and then decal the model and then weather them in. Next, we take care of the walkways. 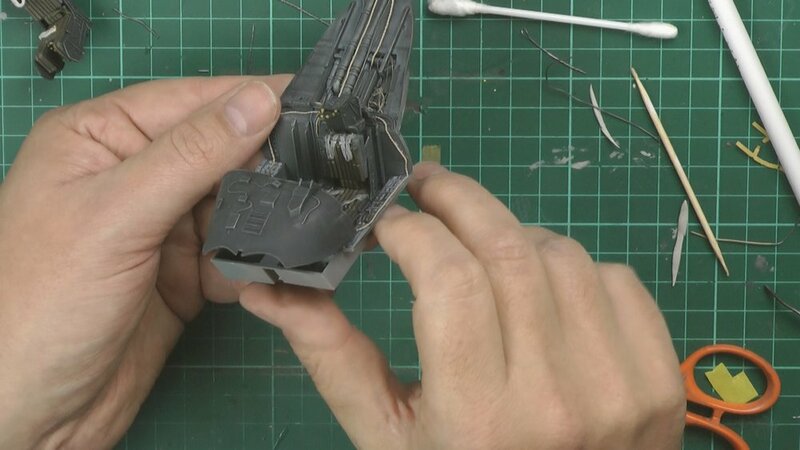 In part 16 we look at how by varying the dampness and how hard you rub gives different weathering looks to the model. 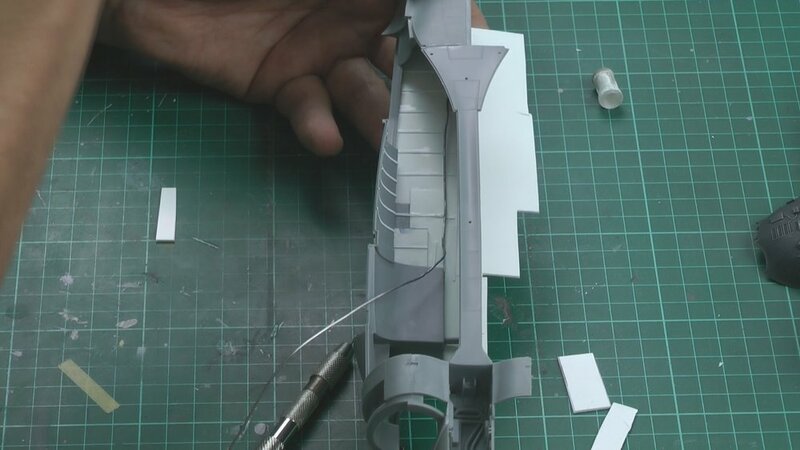 In Part 17 we start off with a quick trick to do the red edges around the doors with a Sharpie pen, Next up is the flat coat and then we unmask and start to put it all together with the lights and putting on the panels. In part 18 we look at oil streaking using a sponge, then we install the radar and add the wiring and hosing in the empty engine bay and start to bring it all together. In the final part, we bring it all together and add the Remove before flight tags to the Intruder ready for the final reveal.